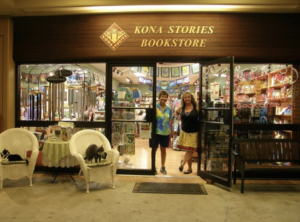 Kona Stories Book Shop will host its monthly Words and Wine event on Tuesday, Nov. 6, beginning at 6 p.m. 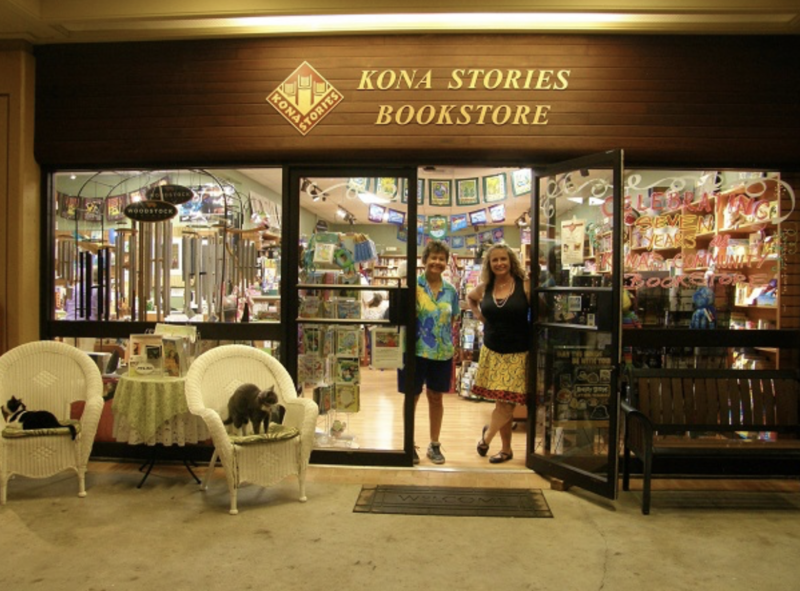 The public is invited to meet and greet local authors with complimentary pūpū and wine. The event is free to attend and will conclude around 8 p.m. following a Q&A session. November’s featured authors are Jim Gibbons and Claire Elisabeth. Recommended dress is casual aloha wear. 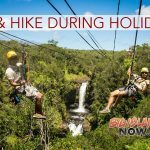 For more information, call (808) 324-0350. Jim Gibbons moved to Waimea with his wife ten years ago after spending the previous forty years in Northern California. He has been a sailor, carpenter, teacher, coach, and weekly columnist for a local newspaper called FootNotes. 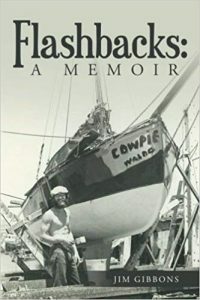 In 2014, he began writing a series of memoirs he termed “the good old daze.” That series became the content for his new book Flashbacks: A Memoir. Flashbacks begins in 1969 when Gibbons dropped out of college during his last semester at the University of Wisconsin, Milwaukee and headed west, to live and sail on a 22’ lifeboat he converted to a sloop. His recollections include meetings with notable individuals like Alan Watts, Shel Silverstein, Spike Africa, and Professor Irwin Corey—a frequent guest on the Johnny Carson Show. Claire Elisabeth is a writer, teacher and “dolphin whisperer.” Elisabeth has spent her life empower themselves and achieve self-acceptance and -realization. She lives Hawai‘i Island with her husband, son, cat and father, and enjoy spending time in the ocean with her non-human relatives, the spinner dolphins. Her first book is entitled Reconcile. 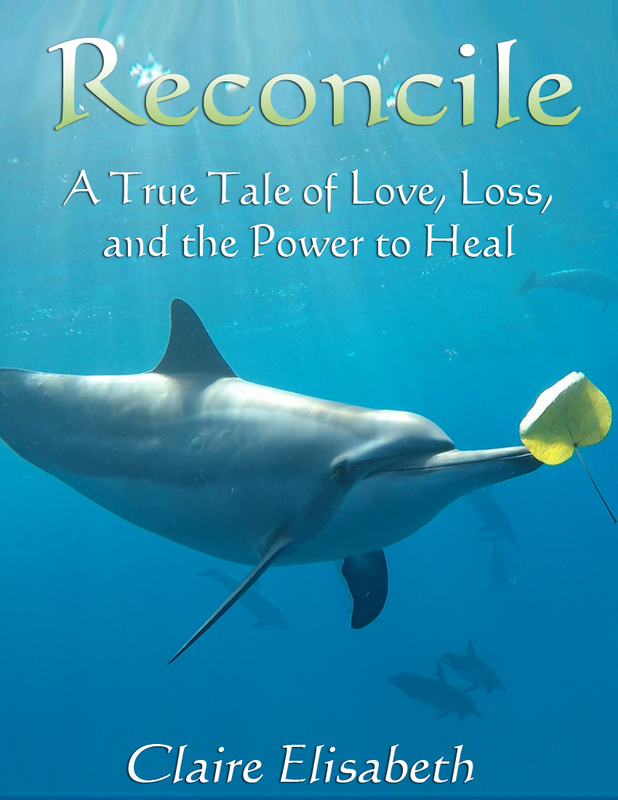 Reconcile is Elisabeth’s revealing story of personal healing. 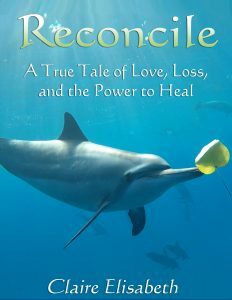 Described as “deeply honest and profound” as well as “surprisingly entertaining,” she recounts her recovery from an unexplained and incurable physical pain with the Hawaiian spinner dolphins. After suddenly losing her mother, she again turned to the sea for healing.